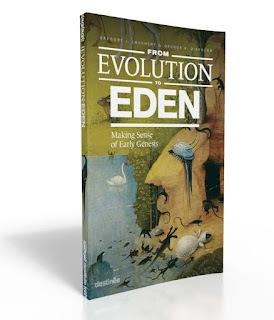 Science has presented us with a powerful and persuasive evolutionary picture of origins. Since we take this seriously, our book From Evolution to Eden challenges literal interpretations of Genesis 1-3 and explores credible alternatives. If you’re interested, read the Review by Pete Enns and the book.